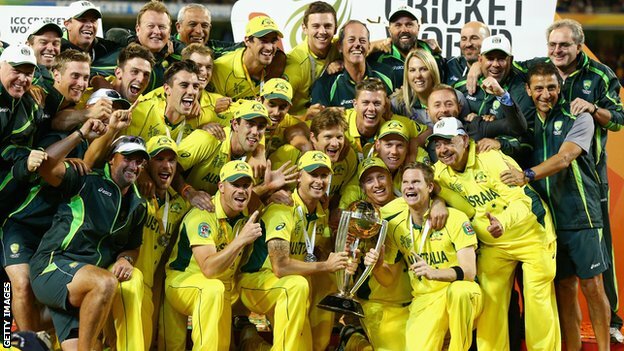 The game has been played and won by the Aussies. 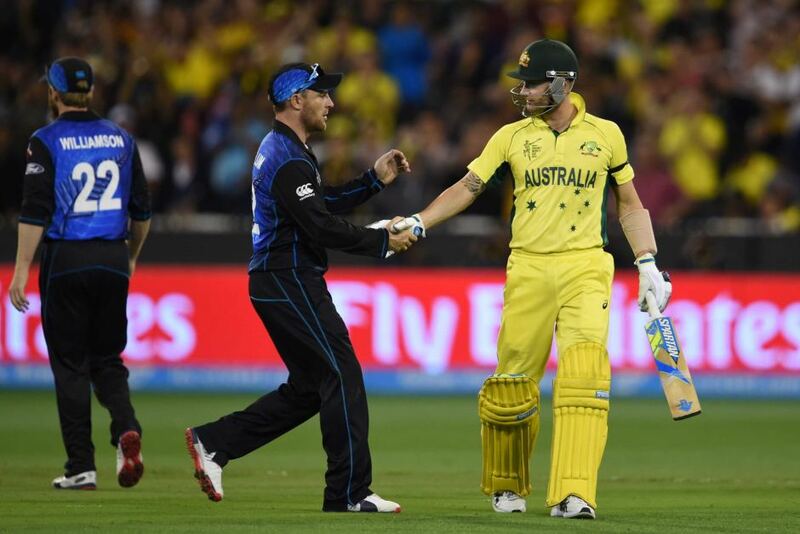 The Black Caps caught Australia on a day when they lifted their game to the highest level – they had no answer for the Aussie bowling attack. Both sides wanted to win – desperately, one fell short while the other didn’t. Both Captains praised the opposing team for their play during the six-week tournament and both were extremely proud of their own ‘boys’. I refuse to get caught up in the sledging/send off furore (that is raging on social media & to a lesser extent in mainstream media) other than to say, there are different sporting cultures in these two neighbouring nations. Each culture suits the nation that has embraced it. Neither will be convinced by the other’s stance, as each feels strongly, that their way is the better way to win! Sometimes the Aussie way looks ugly and sometimes the Kiwi way looks weak, to the other nation across the ditch. Sometimes it is ugly and sometimes it is weak! 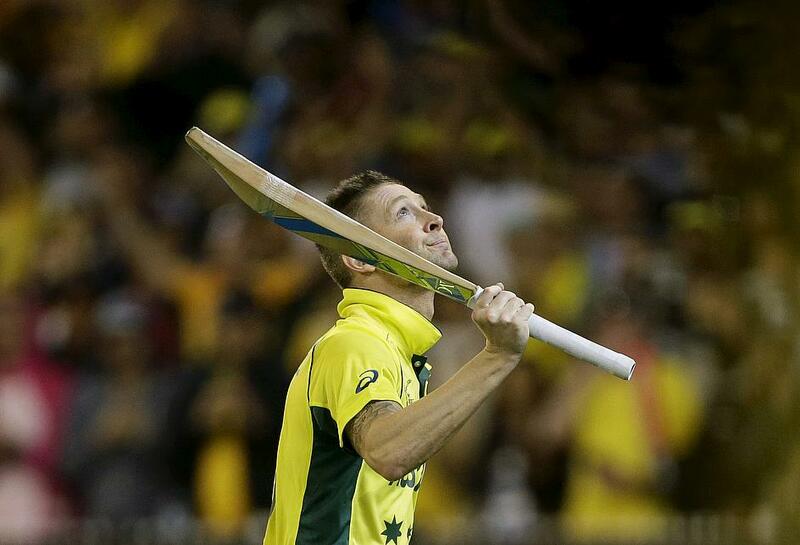 Michael Clarke was not my favourite cricketer before this year. I feel differently about him these days. How wrong of me to judge his character from media snippets and huge assumptions on my part? With the burden of the death of his “little brother” Phillip Hughes and the constant threat of career ending injury, he captained his country to a World Cup Final win. He did it with his bat and his captaincy – in aggressive field setting & clever use of his bowlers. And all the while, he did it with a black arm band with the initials PH written on it. By carrying Phillip Hughes on his arm and in his heart, he reassured nervous parents that cricket is a great game to play and friendships made on the field can and do stay with you forever. I remember my Dad, who passed away over 8 years ago, saying what a wonderful young cricketer Michael Clarke was and would be. And that he would make a great Australian Captain! He was right, my Dad! After the year he has endured, Michael Clarke deserved to retire from One Day cricket with a great win and a great celebration! I hope the cousin banter across the ditch by text was not too savage. I suspect it may have been! But I’m sure it was expected and accepted, as it had been on that fateful day at Eden Park just over a month ago. Lastly, yes, Shane Warne proved himself to be a dinosaur. His interviews were embarrassing and inappropriate ….. but I did call it before the game! Sheep Stations – The Final! The day that we all hoped for has arrived. Australia (Aussie) plays New Zealand (the Black Caps) in the World Cup of Cricket, in the final! It’s the match that all the Aussies have been waiting for since that fateful day earlier in the tournament at Eden Park. Because this time the match will be played at that Australian cauldron – the mighty MCG! Now there are all sorts of reasons that each country thinks that their team will win – the Black Caps are unbeaten in the tournament but this will be the first game played outside their home country; the size of the ground should be on the Aussie side because the Black Caps haven’t played on the MCG for 6 years; the Aussies have got Davey Warner but the Black Caps have got Martin Guptill; the Black Caps have got in form bowlers Boult & Southee but Aussie has got the vicious Mitch’s – Starc & Johnson; the Black Caps have got the extraordinary Baz McCullum as their captain and the Aussie’s have the amazing Captain, Pup Clarke, who has announced that this will be his last game in this format! And then there is the X Factor in each team. The non – playing 12th men for each team. For the Aussies, the memory of a long hard season that began with the tragic death, on the cricket field, of their much-loved mate Phillip Hughes. They will want to complete this season with a win for their country, themselves and their little mate. For the Black Caps, the very public battle of the former New Zealand captain, Martin Crowe, who has been mentor to so many of the batsmen in the team. His column written for espncricinfo was nothing short of gut wrenchingly beautiful. They will want to win for their country, themselves and their great mentor. So, I have to make a decision on which side of the family fence I will settle on! That is a very complicated thing to do for the following reasons. My mother was born in Australia but my father was born in New Zealand. My mother has lived in NZ for three times as long as she lived in Australia and is a one-eyed Black Cap supporter. I was born in NZ but I married an Australian and have lived in Australia ten years longer than I lived in NZ. I have three Australian sons that support the NZ rugby team – as do I. My sister & her hubby lived in Australia for around five or so years, during which time they produced a son that was born in Australia but has a Silver Fern tattooed on his shoulder. I know this means the world to my homeland of NZ, having never even made the final before. With special mention to my nephew and his mates, known as The Troopers, who attended every Black Cap game in the competition but could not make it to Melbourne for the final. I could go on and on forever but I have decided to go for my home for 30+ years and support Australia! 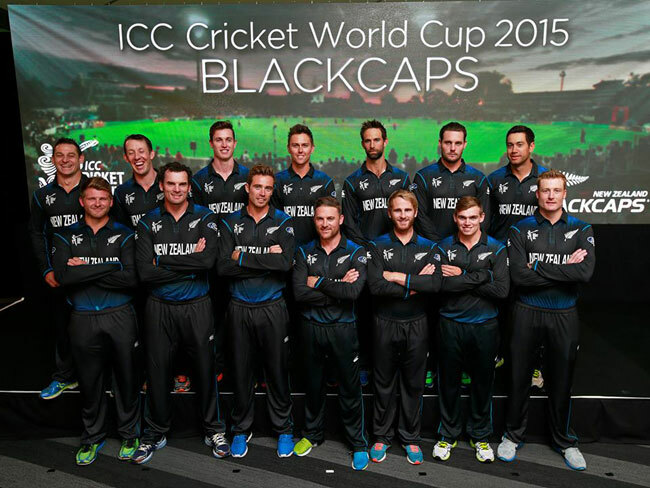 I will not be sad if the Black Caps win. The two best sides are playing attacking, aggressive cricket which is a delight to watch. It will hopefully be competitive right down to the last over. I hope it is so close that my mother, brother-in-law & brother all need to walk away from their TV’s at some point because they can’t bear to watch. There is only one thing that could destroy it for me and that is Shane Warne’s commentary. 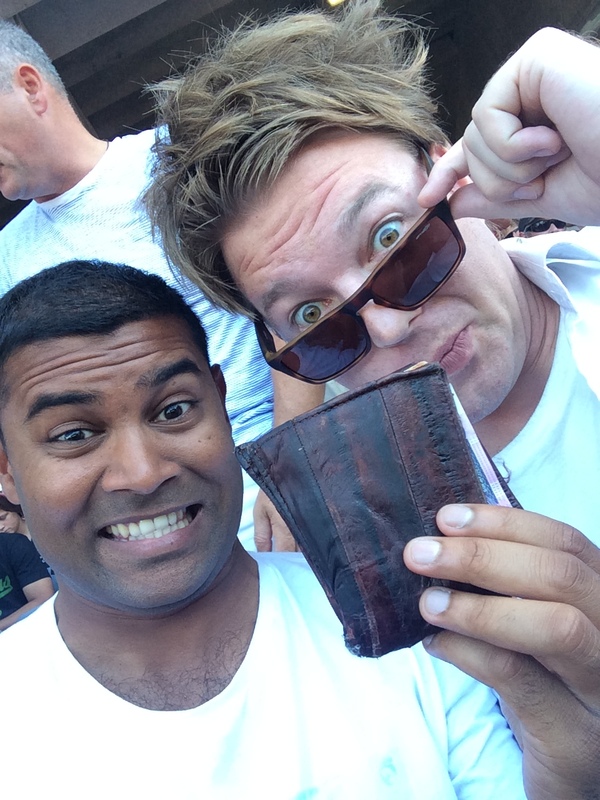 Let it go, Warnie! Let it go! Sheep Stations – a Follow Up! Well, the game was played and won by the Kiwi’s …… just! The cousins are still talking to each other ……. just! Gracious winning, it seems, just doesn’t run in some parts of the family – no matter which side of the ditch you live on! Rightly so I say!! The enjoyment felt by the New Zealanders watching the Australian batsmen marching back to the pavilion with little or no runs, was only matched by the enjoyment felt by the Australians watching the New Zealand batsmen doing the same! It was close – really close! And it will all happen again at some time in the semi finals or maybe even the final! It will most likely be played in Australia for the next meeting, where 90,000 screaming supporters will well and truly match the 40,000 that showed up in New Zealand for the last match! Then we will really know who the best is! Then there is the Kiwi / Indian brother from another mother, who is hoping for something quite different. p.s. Sorry for the late follow up report but I have found writing more difficult when not in my own, quiet space. Back home now, so be prepared for more regular Mandy Diaries! Playing For Sheep Stations …. I’ve been on holiday in New Zealand for just over a week now. BossBoy & BabyBoy came with me and we attended a lovely family wedding which was so full of fun and happiness, that it deserves its own blog later. The weather has been sensational and we have mixed and mingled with our New Zealand family or whānau, in all sorts of happy gatherings. We missed BerlinBoy and BabyBoy flew home last night – leaving BossBoy & myself to fly the Australian flag for the most important cricket match for a long, long time! We love cricket in our family! It doesn’t matter what side of the ditch we live on, we love it! We don’t always love the way the others love it but what is life without a bit of competition? 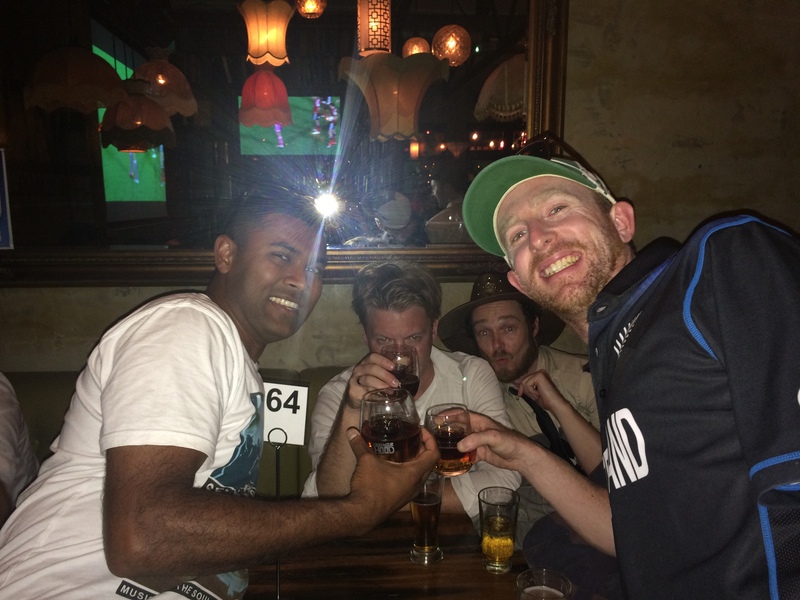 So the Kiwi cousins and the Indian/Kiwi brother from another mother – have taken the Aussie cousin to Eden Park, to cheer on their respective teams live! While the older generation has been split up for their own relationships safety, to watch at different homes, on TV. 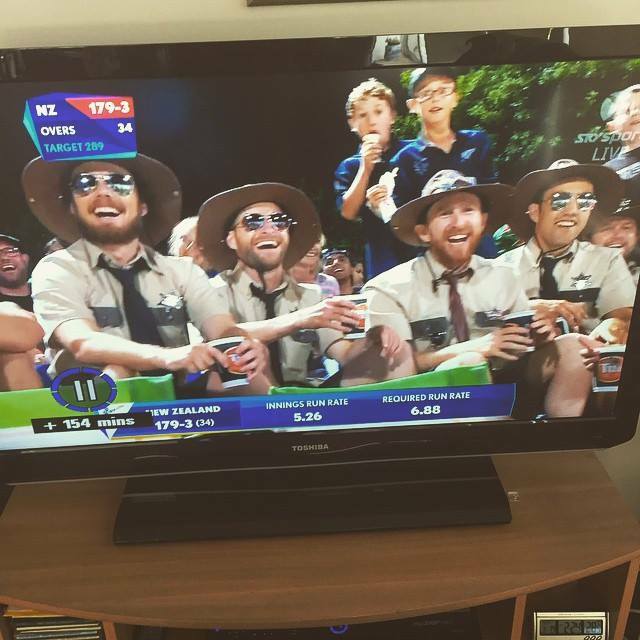 Some of the New Zealand cousins and their friends, caught on TV, supporting their beloved Black Caps during a previous match! You see, although some supporters of each country were born in or have lived in the opposite country – there is a fierce rivalry and eyes become one eyed and feelings are high! 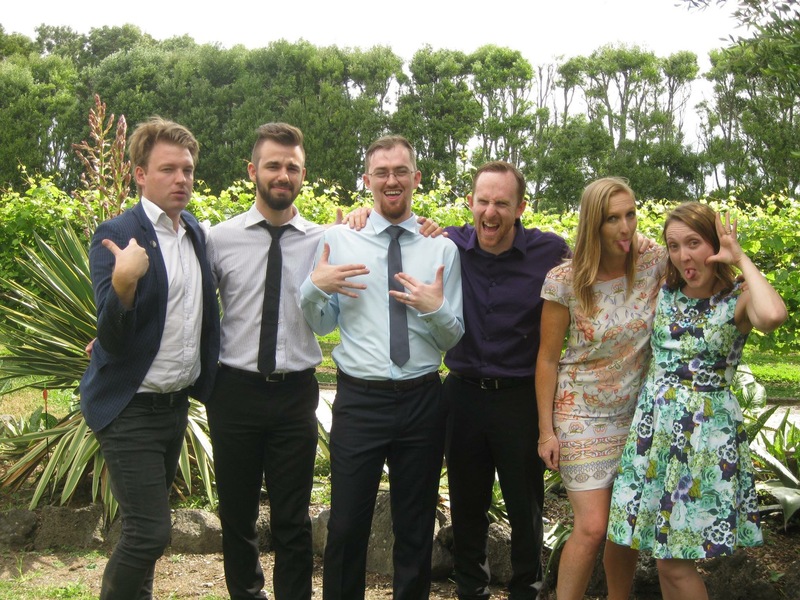 Australian & New Zealand cousins getting on well at the wedding a week ago! Each is secretly hoping that their team will win and win well! 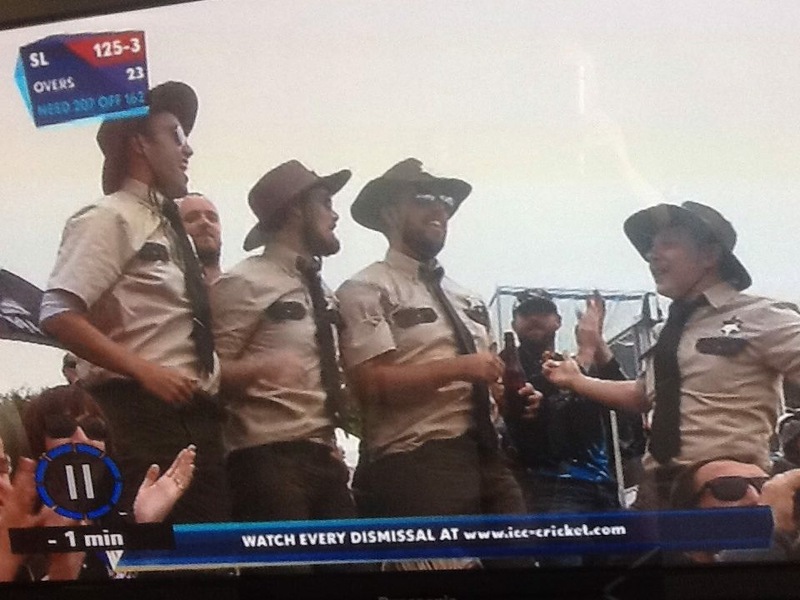 And each Mother is hoping that their child is a gracious winner/loser …… and then there is the Aussies!!!!! See you after the game for a follow up.